Following heartbreak, Zoe Russell found a haven in Conwenna Cove. As the owner of the village diner and a volunteer for the local greyhound sanctuary, she’s happy with her peaceful life. Local surfer Nate Bryson plans to leave Conwenna and see the world. He wants to shake off his reputation as a ladies man and start again somewhere new. Before departing, Nate decides to raise funds for the dog rescue home as a way of giving back to the community. 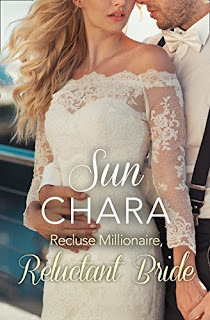 Despite my reading mojo being AWOL of late, When I was asked if I would like to review and kick off the blog for the last book in the Conwenna Cove series by Darcie Boleyn, I jumped at the chance. Forever at Conwenna Cove is the third Conwenna Cove book, the first being Summer at and the 2nd Christmas at. 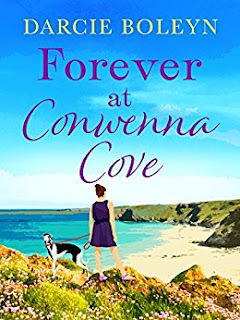 I'm really going to miss being in Conwenna Cove, all of the characters Darcie has written about have all had troubled times and the cove almost has heeling powers... with its idyllic landscapes and friendly locals it's certainly a holiday destination thty I would go to! In Forever at Conwenna Cove we meet Zoe and Nate. We've met Nate a few times in the previous two stories so I was really pleased to see he finally had a starring role. He's currently working in the local cafe that his aunt and uncle own having moved to Conwenna after losing his father. Nate is a bit if charmer, a surfer dude with a ladies man reputation, however with Jack and Oli having now settled down (Jacks story is with Eva in book one, Oli with Grace in book 2!) He is started to think about his life and achievements. He wants to settle down but has always wanted to travel too and plans the latter after he organises a fundraising event for the local grey hound charity. Zoe is a new character who owns and runs the local diner. She escaped to the cove and made a business for herself. I don't want to say too much about why she has come to Conwenna as the reasons why she moved here is quite a big part of her and Nate's story, but she has had a troubled time and again Conwenna seems to be helping her. Zoe and Nate meet when he is organising the fundraiser and as with all good stories, they grow close and form feelings to each other. I wondered where Darcie could go with another Conwenna tale but this one is just as fresh as the previous two and has some real challenges thrown in to the mix. I loved the sub plots of Nates mother and Zoe returning to to home town, they tied in nicely with both their pasts and their present lives. I really hope Darcie decides to take us back to Conwenna Cove at some point as I'd love to check in on the whole gang and see what they are up to! As with the other books, this can be read as a stand alone novel but I like to read things in order and feel you will benefit from doing so in this series. Forever at Conwenna Cove by Darcie Boleyn is a pure gem to read! 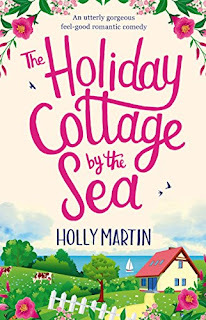 I absolutely adore Holly Martin and her books, so when I was asked if I would review her latest book, The Holiday Cottage by the Sea, as part of her blog blitz, I couldn't resist. The story sees Tori head away for a couple of wees to see her best friend Melody. Melody and her sister Isla moved away when their family circumstances suddenly changed after the death of their brother, Matthew. Tori has secured herself a cute little cottage to stay in on a fruit farm, and in return she is to help the owner, Aidan, pick the legendary Heartberry fruit. I'm not going to explain this as I really won't do the Heartberry Festival and the history behind it any justice, so you are just going to have to read the book! As soon as Tori arrives shes is faced with sheep, a runaway turkey and Agatha - who for me was the stand out secondary character with her old lady wit and wild romantic predictions - she really needs her own book and I can't wait to read more about her meddling ways in Holly's next story!! Once Tori and Aidan meet the attraction is instant, however both have had their hearts broken before and Tori is keeping a secret from Melody and Isla about her relationship with Matthew. As with all Holly's books, The Holiday Cottage by the Sea, and Sandcastle Bay are settings that you simply lose yourself within. Their picturesque landscapes are beautifully described and on more than one occasion I felt like I was there as I was reading. I thoroughly enjoyed reading The Holiday Cottage by the Sea. Holly introduced us perfectly to the sub characters, Matthew's son Elliot is a dream and I can't wait to find out more about Jaime and Leo - Aidan's brothers - and their relationships with Melody and Isla as well as catching up with Tori, Aiden, Beauty and Beast (their dogs) and of course the other characters which make Sandcastle Bay a community I would happily visit. THIS COULD CHANGE EVERYTHING is the feel-good new novel from Jill Mansell, the bestselling author of MEET ME AT BEACHCOMBER BAY. Not to be missed by fans of Katie Fforde and Lucy Diamond. I absolutely adore reading a Jill Mansell novel and with every new one I indulge in, I gain a new favourite as Jill's writing never fails to captivate me and her stories are always fresh. 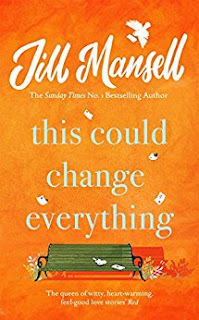 This Could Change Everything is no exception and as with most of Jill's books, she expertly takes a handful of characters and entwines their worlds, bringing the characters and their stories together. Essie and her best friend think its a fun idea to send each other a round robin - a letter for no-one else to see, giving an account of their year and their thoughts and opinions. What Essie doesn't plan on is for the round robin to be sent to everyone on her email contact list. Zillah is a wonder and such a vibrant character. Having lived a full life, and still going, she's seen most things and with money in the bank, Zillah loves nothing more than granting wishes and making people smile. And Conor, well his life turned around from his role as a solictor when his heart was touched by a dying patient. Pursuing his love of gardening and photography he completely turned his life around for the better. When Essie meets Zillah and Conor she embarks on a new chapter in her life and sees things with a new perspective. The sub characters in Lucas and Scarlett kept each chapter fresh and exciting as the three main characters face their own challenges - Essie losing her boyfriend, job and home, Zillah having a fall and Conor thinking he had what he wanted in a girlfriend. This Could Change Everything is an uplifting and heart warming novel, full of love and friendship. It gives an insight to what happens when things doesn't go as planned - everything happens for a reason, after all. 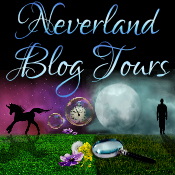 Today I'm helping Neverland Blog Tours kick off the new book by Sarah Bennet - Spring at Lavender Bay. There is also a very generous giveaway from the author so please make sure you scroll tp the end of this post and enter! 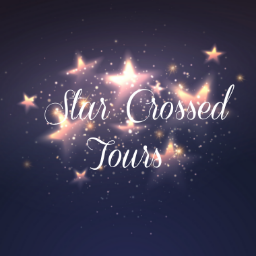 Since reading and falling in love with the Butterfly Cove series, Sarah Bennett is fast becoming an author I look forward to reading, so when I saw that she had a new book out, I jumped at the chance to read and review it as part of the blog tour. Spring at Lavender Bay tells Beth and Sam's story. I enjoyed the way Sarah wrote the book, giving us in insight to each of the characters seperately before bringing them together. Beth works in London and lives in a grotty bedsit. She has a job that no longer gives her satisfaction and a boss that takes her for granted. Her Mother is living a life with her new husband abroad and to top it all off, Beth's boyfriend has dumped her. The only thing good in her life is Eleanor - the woman that took Beth under her wing when her mum left, and her two best friends, Libby and Eliza. However when a skype call to Libby and Eliza results in some unwanted news, Beth has to suddenly return to Lavender Bay which is also where Sam has returned to, putting his career dreams on hold to return to the pub his parents run to lend a hand after his Father has fallen unwell. Beth and Sam once shared a kiss but with Sam being Eliza's brother, it has never been spoken about since. 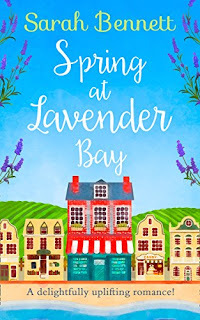 As events unfold Beth and Sam draw closer, but we are left wondering if Lavender Bay is a place they can both call home when a series of events threatens to push them apart. 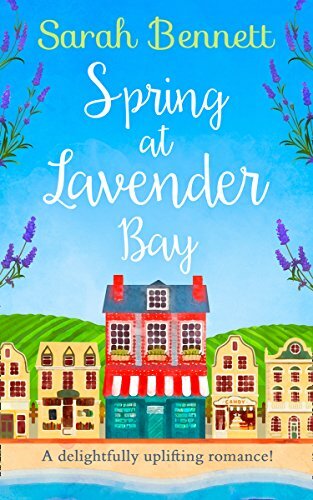 I thoroughly enjoyed reading Spring at Lavender Bay and getting to know the familiar faces of the locals that I am sure will pop up in the next books. Lavender Bay, as with Butterfly Cove offers a warm and welcoming environment and gives a story of love, friendship and an uplifting sense of belonging. After – getting to write her own stories to share with others. that the best family is the one you create from friends as well as relatives. only on vessels large enough to accommodate a casino and a choice of restaurants. three best friends - Beth, Eliza and Libby. Her new series is set in the beautiful seaside town of Lavender Bay, and will follow the lives of three best friends - Beth, Eliza and Libby.